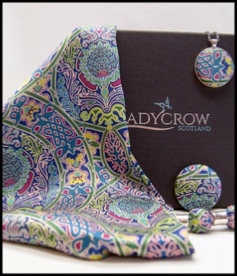 Lustrous and opalescent Liberty Belgravia Silk Satin scarves in a choice of two distinctive designs and fourteen desirable prints. 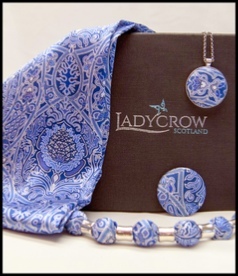 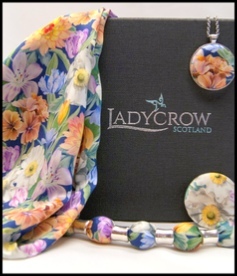 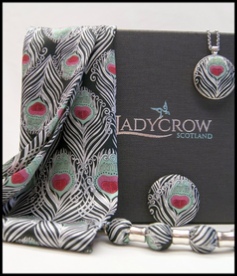 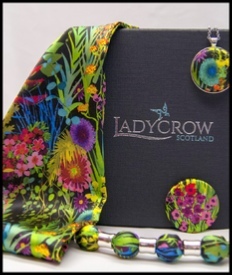 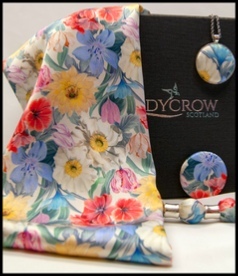 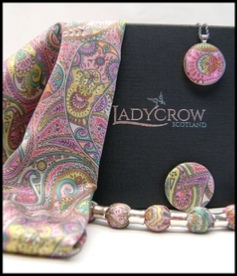 These very luxurious scarves are made by Ladycrow with either magnetic fastening or as a traditional scarf with elegant pointed tips. 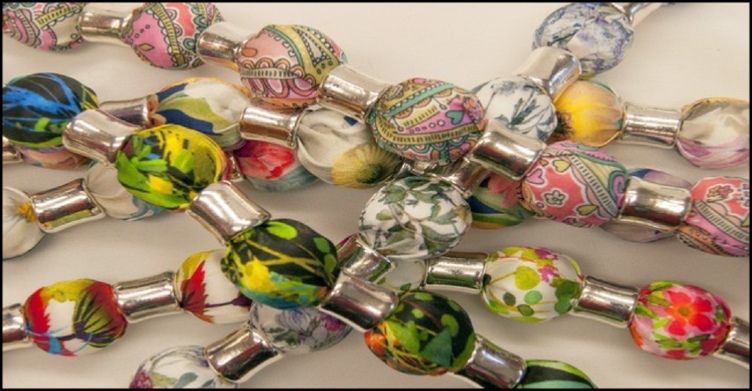 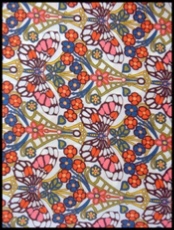 Magnetic brooches, Bubble necklaces and Pendants are also made using this gorgeous and exclusive fabric. 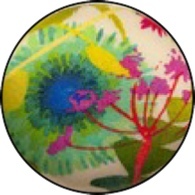 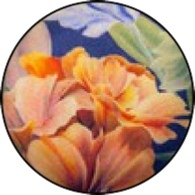 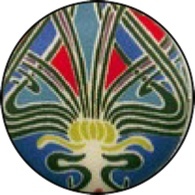 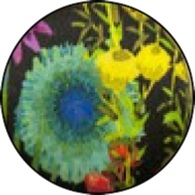 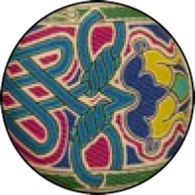 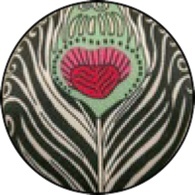 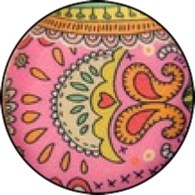 Ingenious gift boxed Magnetic brooches measuring 5cms in Diameter and featuring fifteen Liberty Satin prints. 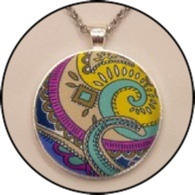 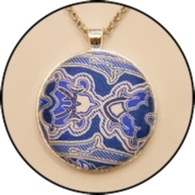 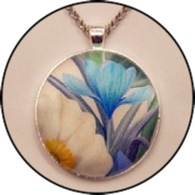 Circular pendants measuring 4cms are suspended on a 45cm stainless steel chain with a lobster clasp closure. 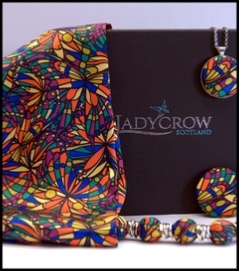 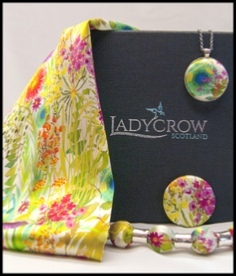 These gift boxed bubble style necklaces with attractive accent beads are handmade by Ladycrow. 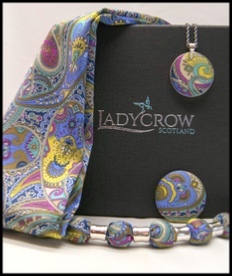 They are 52 cms in length and closed with a lobster clasp. 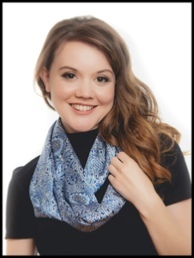 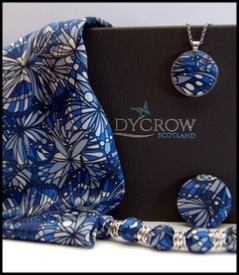 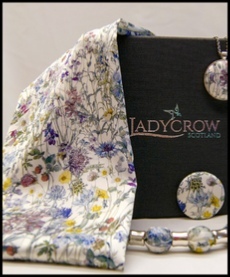 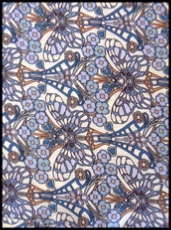 Both styles of scarf are made in the Liberty silk satin prints shown on this page.